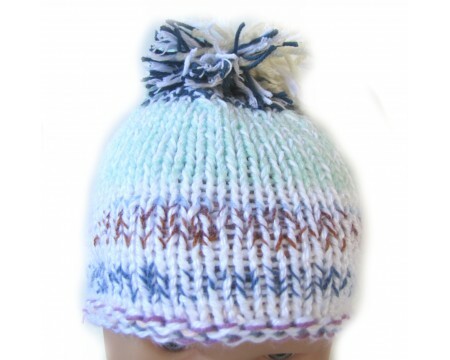 A medium weight striped multi colored cap made of cotton/acrylic yarn. Measurements are 13-15" around. Height is 6"